Lately I’ve been using more tags than washers in creating jewelry designs. I particularly love these distressed stainless steel tags imported from Nadin Art Design in Israel because they are durable and unique. As I gain more business I will continue to look for distinctive suppliers and try new techniques. 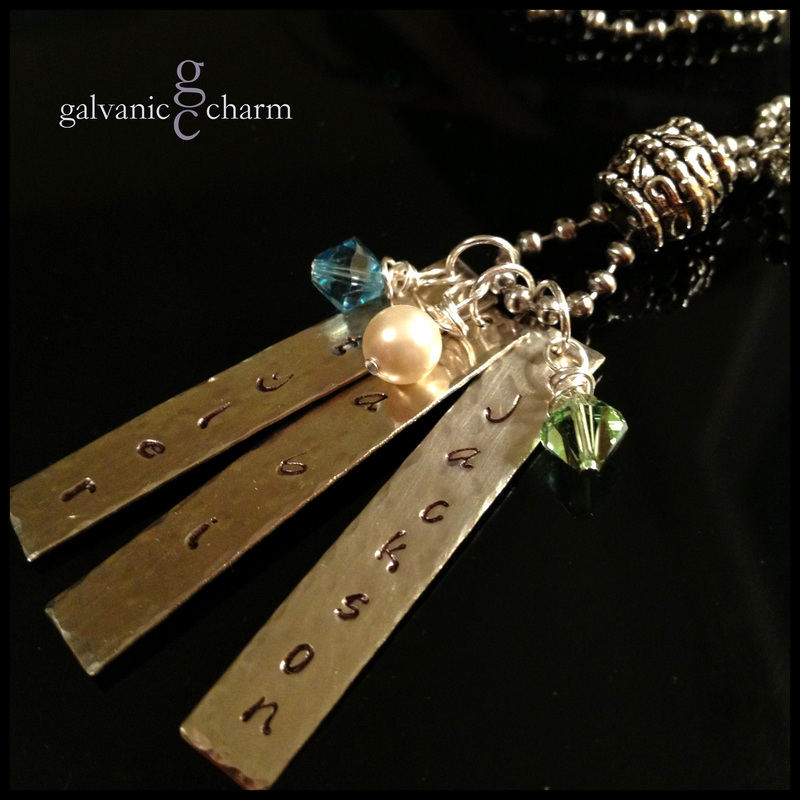 ABI – Grandma’s necklace with 3 hand-stamped distressed stainless steel tags. Aquamarine, pearl, and peridot birthstone drops, and intricate pewter bead. 18″ stainless steel ball chain. $55 as shown.